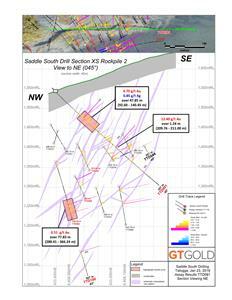 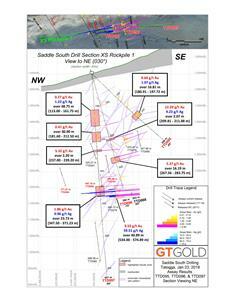 VANCOUVER, British Columbia, Feb. 12, 2019 (GLOBE NEWSWIRE) -- GT Gold Corp. (“GT Gold” or the “Company”) (TSX.V: GTT) is pleased to report the results for the final Saddle South core holes from its 2018 exploration drilling program. 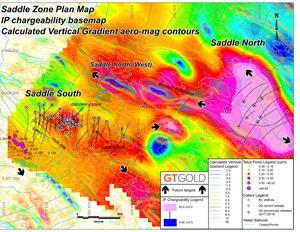 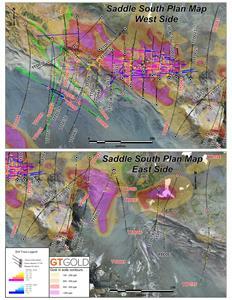 The program was successful in extending the high-grade epithermal system discovered in 2017 along strike by several hundred metres, and to a similar depth beneath largely covered and untested areas east and west of Saddle Ridge. 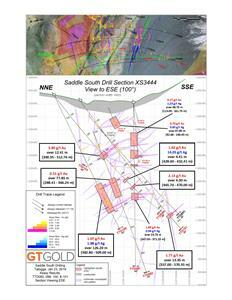 High-grade intercepts within numerous broadly mineralized intervals continue to increase the extent of the Saddle South mineralized system. 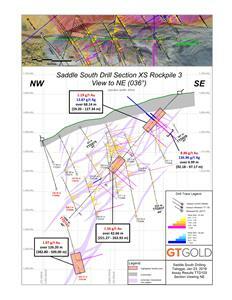 GT Gold has implemented a rigorous quality assurance / quality control (QA/QC) program to ensure best practices in sampling and analysis of diamond drill core, the details of which can be viewed on the Company&apos;s website at http://www.gtgoldcorp.ca/projects/tatogga/.